NOTE: The following have been added: A list of Engagees - d'Iberville's recruits of 1697. From that page you can access several family links. The Roll of Aug 15 1699 and the "Pelican" passenger list have also been added with a link to the the marriages of the girls. 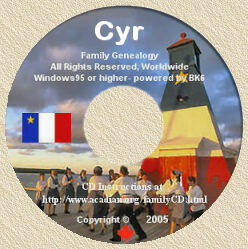 The purpose of this page is to list resources and records pertaining to the first families of the Colony of Louisiana. In 1684 La Salle, planning to colonize on the Mississippi River, was swept off-course and his party of ships landed at Matagorda Bay, Texas. There are no lists of the original passengers but subsequent records exist of the survivors of the ill-fated voyage. Two young TALON boys were among the survivors. They were rescued by an Indian woman and were brought to Veracruz, Mexico. Later they were colonists at Mobile. They are TALON descendants. Henri Tonti, explorer, and La Salle's nephew, Nicholas de La Salle also became residents of early Mobile. The first French men to establish residence on the Gulf Coast were recruits of de Iberville. They arrived at Biloxi Bay in 1699 at what is now Ocean Springs, Mississippi. A list of engagees was made July 6, 1697 of the Canadiens recruited by d'Iberville. The original can be found in the Archives du Port du Rochefort. Details have been published in several books. Another list was made of men present on August 25, 1699, and through 1700, of the men at Biloxi. About 1702 the "habitants" were moved to Ft. Louis. The first French families were formed in 1704 with the arrival of "The Pelican," a ship carrying 23 girls of "marriageable age." A passenger list for "The Pelican" exists in the French Archives. There is a census of the families at Mobile in 1706. There were divisions of land detailed in old maps of the original site of Mobile c1702 and for several years afterward, that yield further information about the families there. This site, Ft. Louis, was about 25 miles north of the present site of present-day Mobile, Alabama.